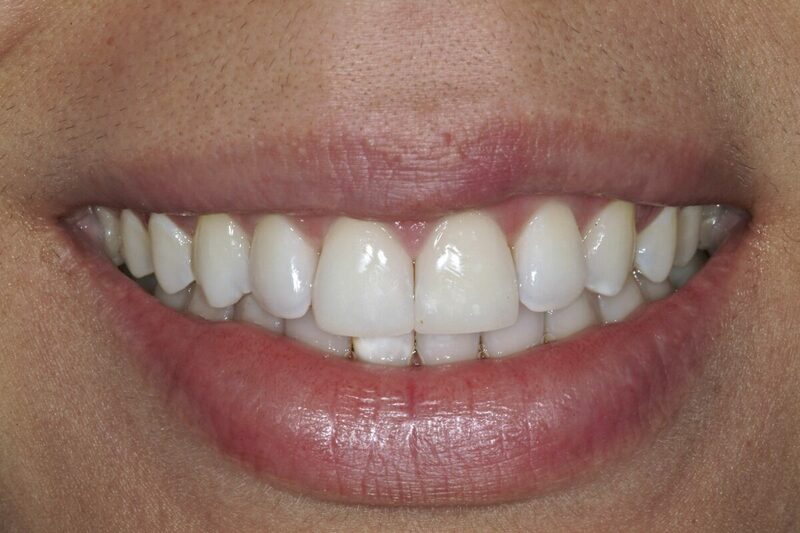 Porcelain Veneers are the premier, state-of-the-art restoration for the upper and lower front teeth. Whether replacing old discolored fillings or just improving the shape, color and overall smile, porcelain veneers are a very most popular choice to enhance or revive your smile. The history of this material dates back to the 1970’s and the NASA space program. It’s a process used to bond the porcelain tiles to the space shuttles undercarriage so the heat upon re-entry would not burn up the shuttle, that was then was adapted to dentistry. The chemical bond between the tooth surface and porcelain veneer is strong, long-lasting and will never stain. The Porcelain veneer is very thin (1mm) shell of porcelain that’s bonded directly to the tooth requiring minimal or sometimes no tooth reduction. The veneer is semi-transparent like the natural enamel of your tooth so it has a completely natural look when bonded to the tooth. This is a favorite treatment to close spaces, lengthen worn teeth, brighten the entire smile, rebuild broken-down teeth, and correct alignment problems.